LAObserved and KCRW seem to have discovered the Westwood equivalent of watching the ball descend in Times Square at midnight, New Years. 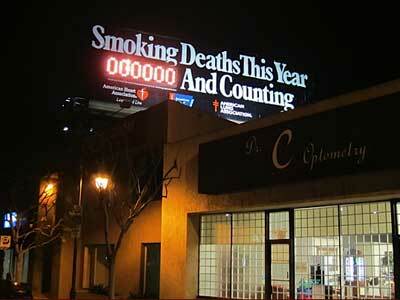 The smoking deaths sign resets to zero, apparently attracting a crowd. Of course, if you are reading about this ritual today, you will have to wait until next year to partake. But you don’t have to go far from UCLA to be a participant.